This post introduces reform direction number four in Adaptive Parking. Responsive Supply: Let parking supply choices respond more readily to costs, returns (or the lack of returns) and alternatives. In other words, it is a good idea to encourage parking supply to adapt to local conditions. By the way, I really mean LOCAL. And by 'conditions' I mean all dimensions of market conditions. So, this fourth reform direction in Adaptive Parking is actually much more ambitious than just saying we should match parking supply to demand. It suggests paying attention also to the opportunity costs and the financial returns on parking investments, relative to alternatives. If the costs of building parking are going to be high and/or the returns are going to be low, and there are much better uses of the money, then why supply more parking? Maybe you are thinking that this sounds obvious and that there is no need to labour the point? Well, it may be obvious but that doesn't prevent most jurisdictions around the world having parking policies that ignore such costs and returns and which force real-estate developers to ignore them too. This reform direction points towards treating parking like any other real estate investment, so that we at least consider its costs, returns and alternatives. Unfortunately, treating parking investments as a real-estate investment decision is in fact NOT the conventional thing to do. policies that make all parking (even parking in excess of the requirements) exempt from counting towards the zoning plan's gross floor area limits for the building (or from counting in the floor area ratio, FAR, also known as plot ratio or floor space index, FSI). Transit-oriented locations need less parking and the opportunity cost of building it there is high. So what can we do to make parking supply choices more responsive? I don't want to go into details today. But here is a short list of examples. confront parking suppliers with stronger trade-offs (for example, by counting parking, or at least more parking, as part of the floor space allowed under zoning rules). 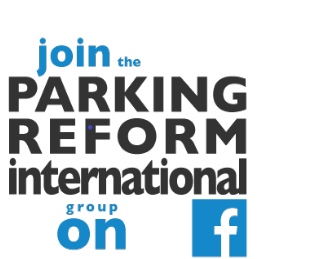 You may have noticed that this reform principle is a more general version of Donald Shoup's suggestion to abolish minimum parking requirements. Note that the short list of policies above includes both bold reforms and timid ones. This reform principle points in a direction for reform but does not insist on taking it to its extreme. Some places might be ready for bold steps but many may need baby steps to try. Fortunately, even modest steps along the lines of these suggestions should be helpful in making parking supply choices more responsive to local market conditions. Is there really any need to push for more responsiveness in parking supply decisions? How bad could the status quo be? Very bad, I am afraid. See here, here, here, here and here for examples. Builders constructing malls and multiplexes, even in district headquarters across the state, have to leave a whopping 66 per cent space of the total built-up area for parking. It is mandatory for all municipalities, municipal corporations and urban development authorities in the state to follow this rule while approving building plans for malls and multiplexes. Presently, the space reserved for parking varies in municipalities and corporations. Oh dear! This ruling doesn't just tie the hands of developers, it ties the hands of all local governments. It imposes a one-size-fits-all norm across the whole state of Andhra Pradesh, forbidding local governments from taking local circumstances into account. If a mall is proposed in Hyderabad near one of the Metro stations now being built, it will have to follow the norm on parking, despite heightened accessibility by public transport. If a developer wants to build a down-market mall in a low-income segment of any Andhra city, sorry, parking must follow the norm. How much responsiveness in parking supply choices does your city or town allow for? In case you missed them, here are the links to explanations of Adaptive Parking reform directions Numbers One (Public Parking), Two (Performance Pricing), and Three (Stakeholder Compromise).